When you first build a gasifier it’s great to stand around it watching the flare and tweaking the grate shaker and fuel-air mixer. If there ever came a day when you “just needed it to work” this wouldn’t be so much fun because it would require constant attention when you could be doing more productive things. This is where a little bit of automation can go a long way. For me the best gasifier automation system is the NSR Automixer. It should be ready for sale in early 2015. Click the Get Hardware tab at the top of the page for latest on this item’s availability. Unfortunately, being American made and in low quantities, it’s not going to be as inexpensive as I would like. 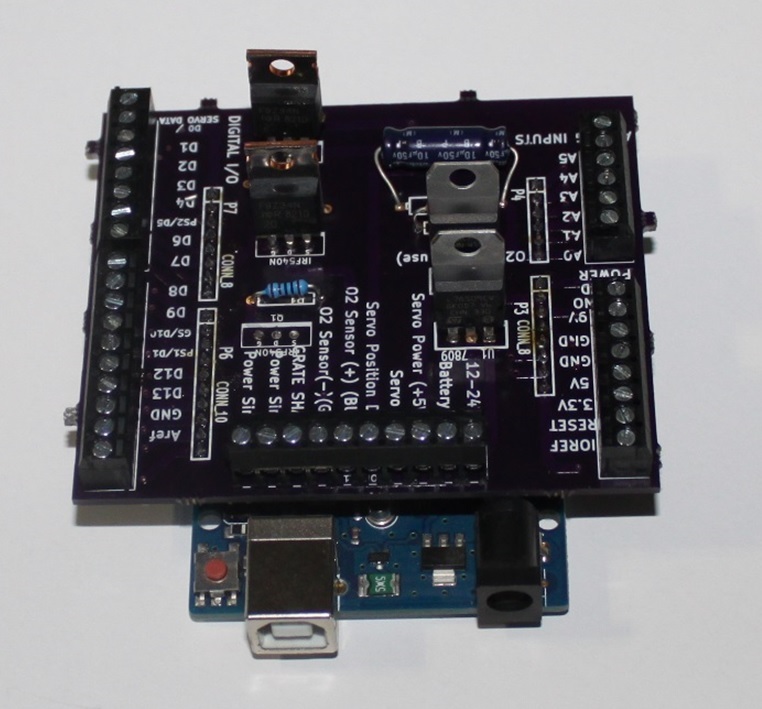 The user also needs to have some “C” programming proficiency if they want to modify the standard programming which will come with it. If this sounds like a little too much there is another option from Amazon. This is a very nice inexpensive relay timer if you want to do a simple function such as spin a grate shaker motor for one minute every five minutes, or spin a grate shaker for two minutes when a pressure switch closes, or close a relay for 60 milliseconds every second to run a spark igniter. I found the programming to be a little odd so here is a primer if you decide to get one. There are two sequentially operating relays inside, A and C. The sequential time intervals are relay A interval A, relay A interval B, relay C interval C, and relay C interval D. These will repeat if it is told to loop and pins 1 and 2 are connected. If you only want a single relay to do on-off repeating, use relay A and set time intervals C and D to zero. 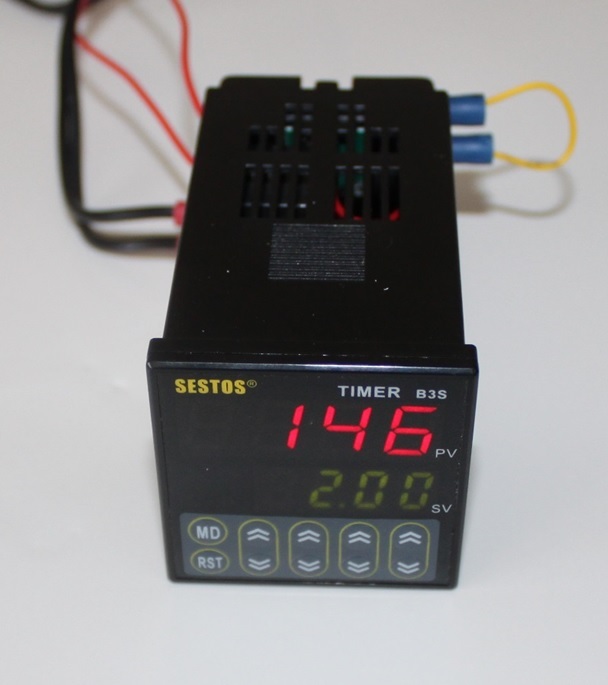 The contacts are only rated for three amps so use this timer to drive a large relay if you want to run a large load. BE VERY CAREFUL IF YOU TRY TO BUILD ONE OF THESE!!! THIS CIRCUIT CAN DELIVER A VERY PAINFUL OR LETHAL ELECTRIC SHOCK!!! 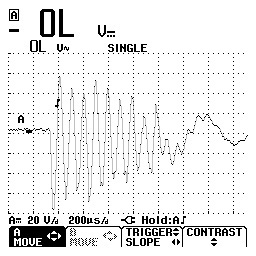 Each time the points are opened or closed the primary coil “rings” with the damped oscillation shown below. 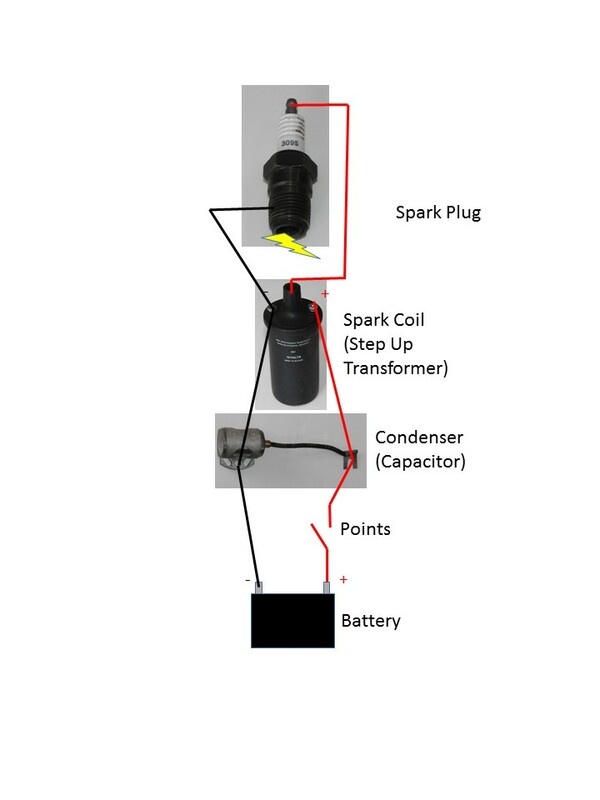 This constantly changing voltage causes the spark coil(transformer) to step up the voltage. When the voltage is high enough the air’s insulating property breaks down, allowing the current to jump between the electrodes.